Although audio signals are mainly processed digitally nowadays, analog technology will remain a viable alternative that is continuously being enhanced. 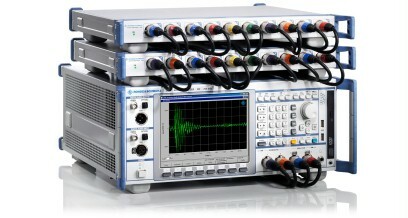 Therefore, both analog and digital measurements must be performed. The R&S®UPV audio analyzer is designed precisely for this purpose. 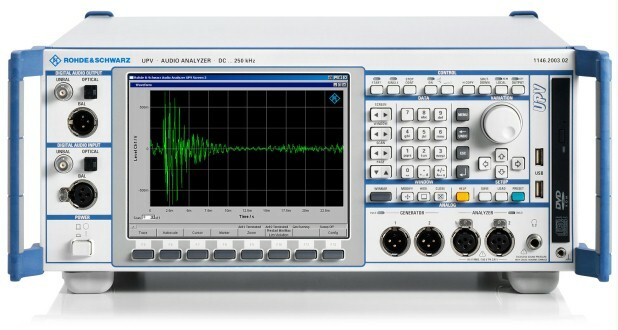 The R&S®UPV enables users to perform virtually all measurements that are necessary in the audio world: frequency response measurement, total harmonic distortion (THD) displays, spectral displays, analysis of digital interfaces, and much more. The generator is just as versatile. 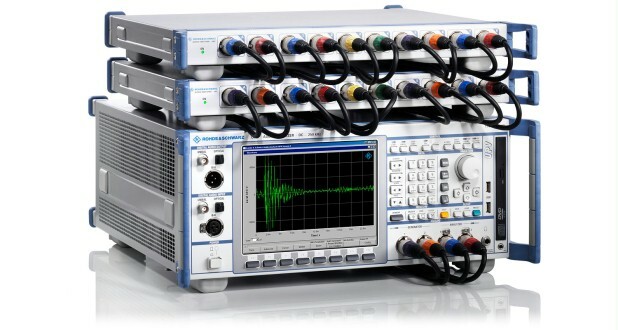 It can be used to create any conceivable signal from sinewave and noise signals up to multi-sinewave signals. The R&S®UPV is an all-in-one instrument with an integrated control PC, making it easy to transport. Since the instrument comes factory-ready, it merely needs to be unpacked and switched on before being put into operation. Peripherals are therefore not required. Optional modules and software expansions that can be integrated into the instrument open up a broad scope of further applications. The R&S®UPV features an intuitive user interface (Windows operating system). The large screen plays a key role, not only for displaying measurement results. All settings are made in panels that contain all interrelated functions and settings. Since the operating philosophy is easy to understand and since analog and digital measurements are performed in a similar manner, users can quickly master instrument operation. 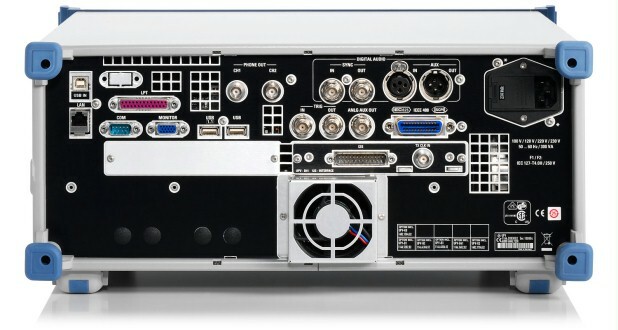 The instrument features scalable graphical windows that can be moved around on the screen as needed, providing all measurement results at a glance. Results can be displayed in realtime for one or both channels and can optionally be expanded to a maximum of 16 channels. 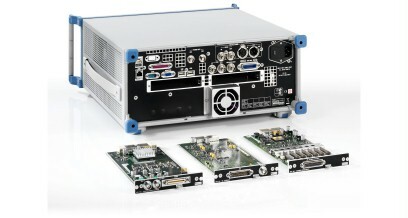 Multiple measurement functions/graphics are available simultaneously. For example, analyses in the frequency and time domains can be displayed at the same time. With graphics, results can be read off using vertical and horizontal cursors, and limit lines or stored measurement results can be superimposed on them or compared with them.